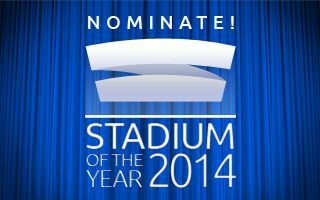 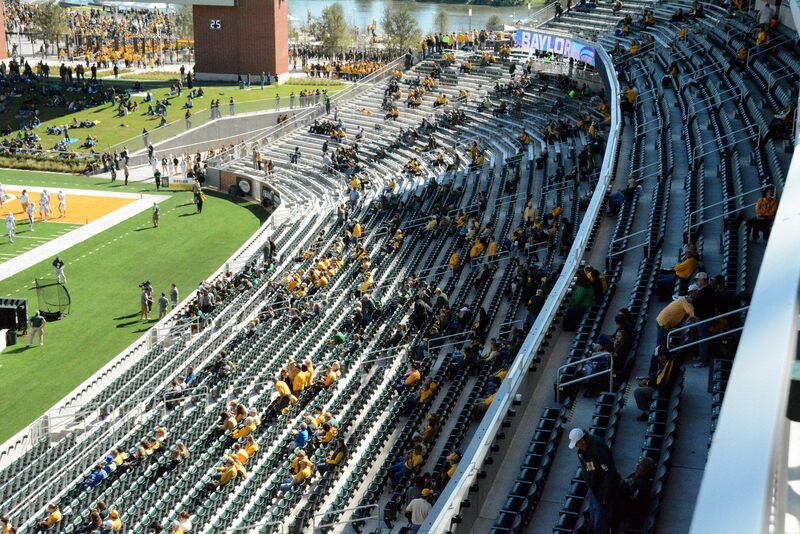 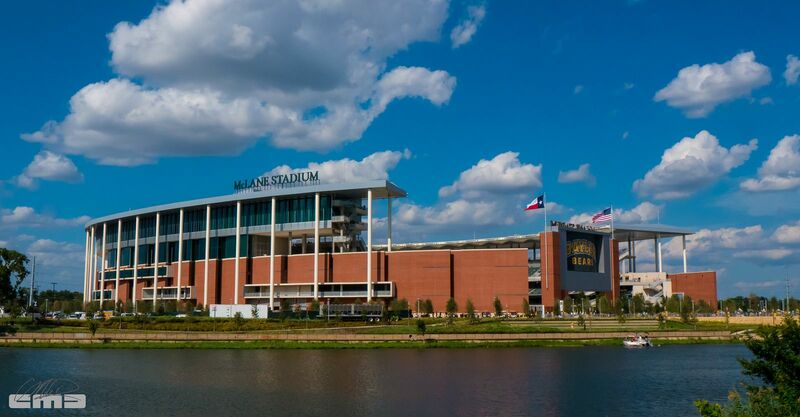 Construction of a new stadium for Baylor University football began along the Brazos River in September 2012. 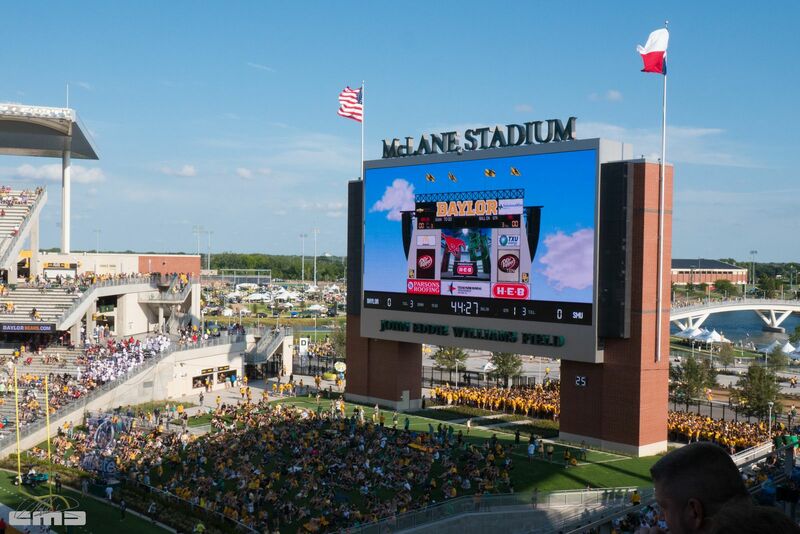 Contrary to the previous ground the Baylor Bears used, this one stands on campus. 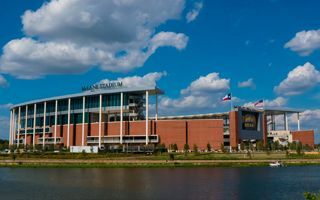 It may across the river from most facilities, but with a new pedestrian bridge and proximity of Waco’s most important avenue, it’s still very well connected. 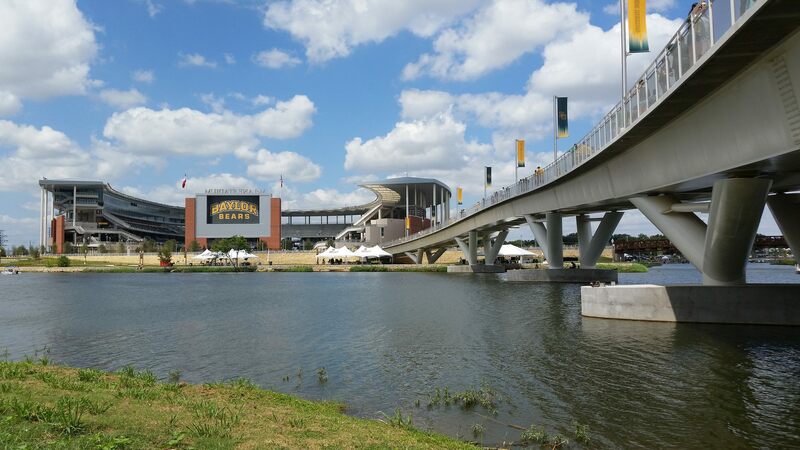 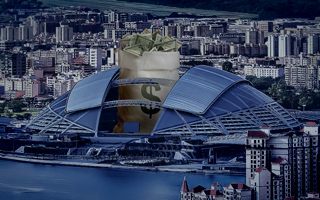 In fact, at the time of opening it was one of only three stadia in the NCAA system to allow fans arrival via boats, thanks to the marina created within the project. 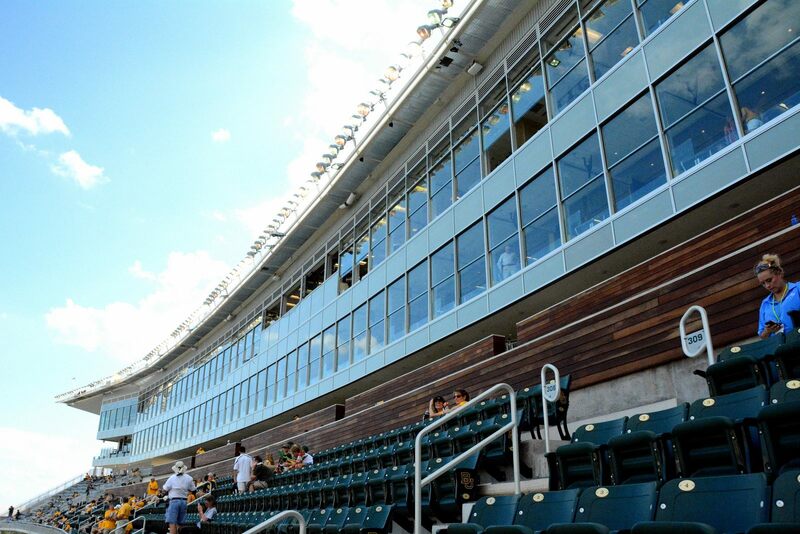 Architects of Populous designed stands with three tiers on three sides, creating a horseshoe layout. 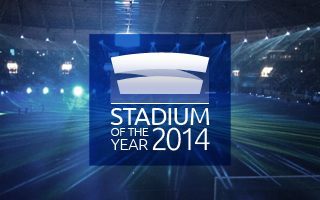 The southern end is left empty, only with a giant screen and green terracing. 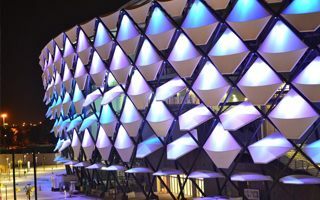 This creates a visual opening towards the campus and city centre on the one hand. 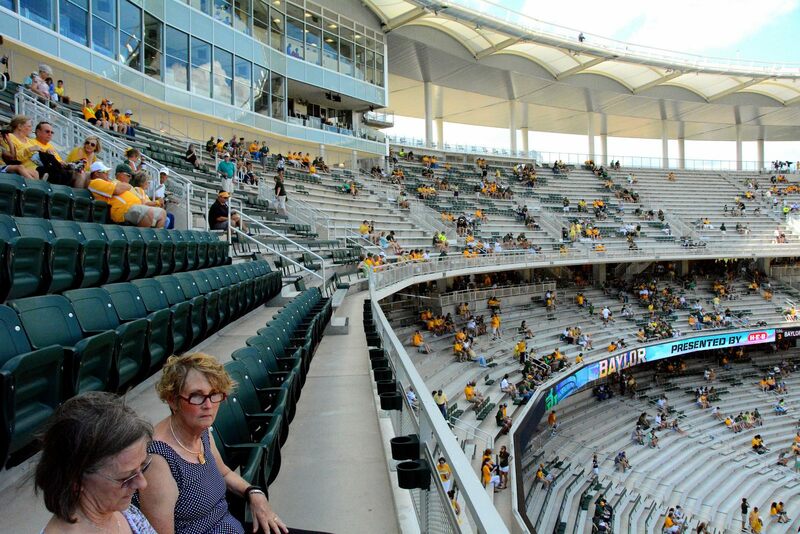 On the other, this allows future expansion to 55,000. 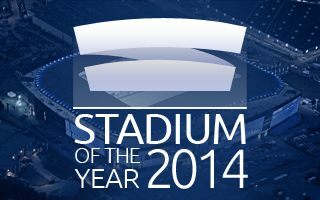 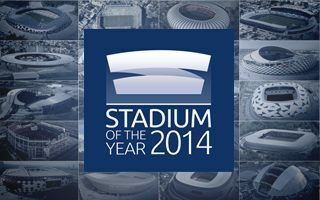 In the initial layout the stadium has been equipped with 39 lounges, 74 skyboxes and over 4,000 corporate seats of two standards. 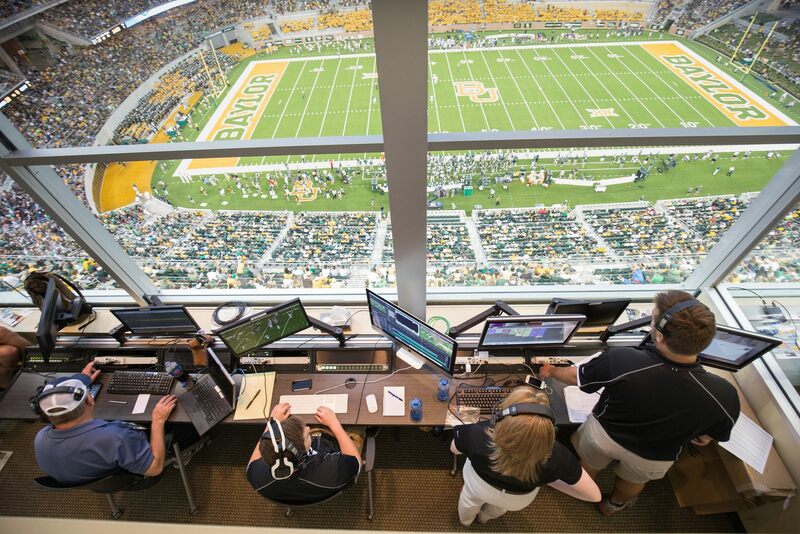 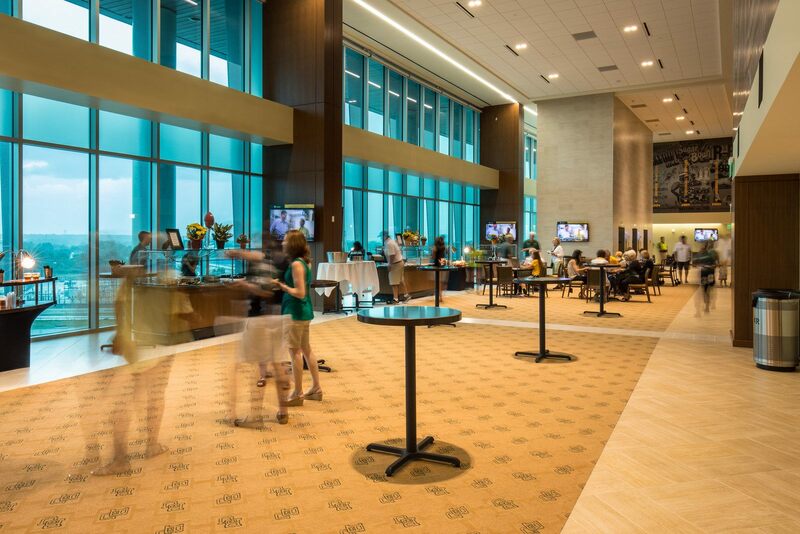 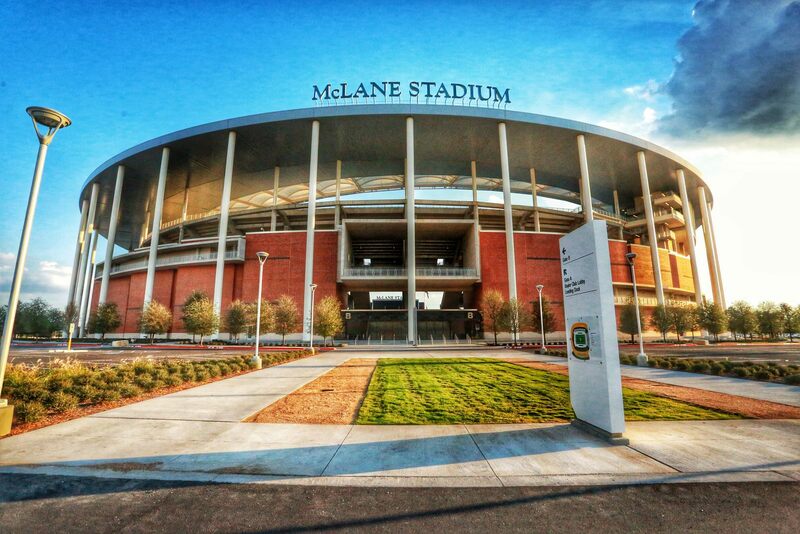 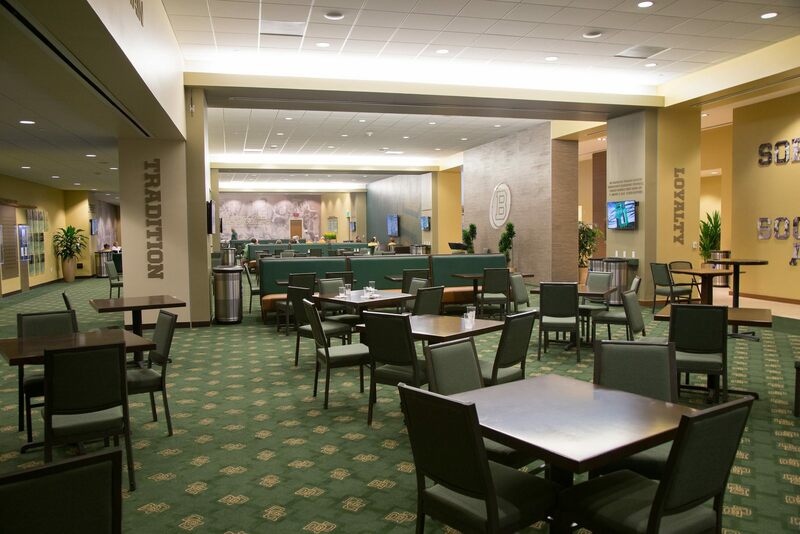 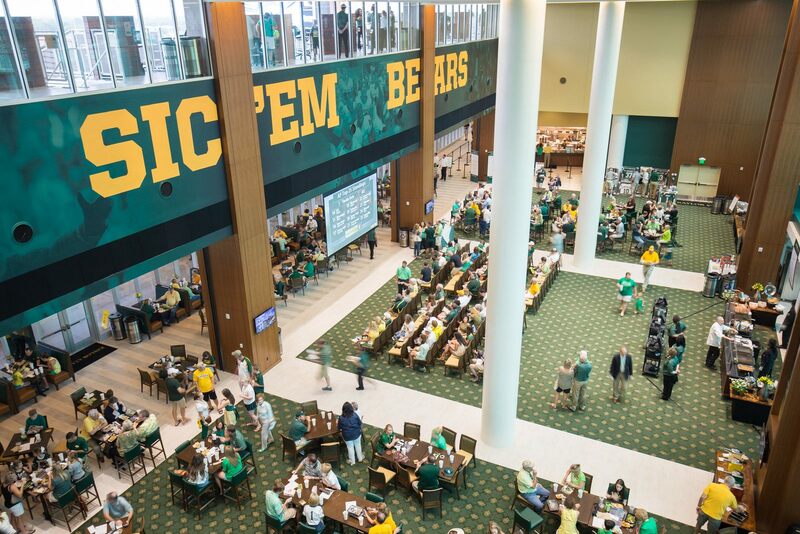 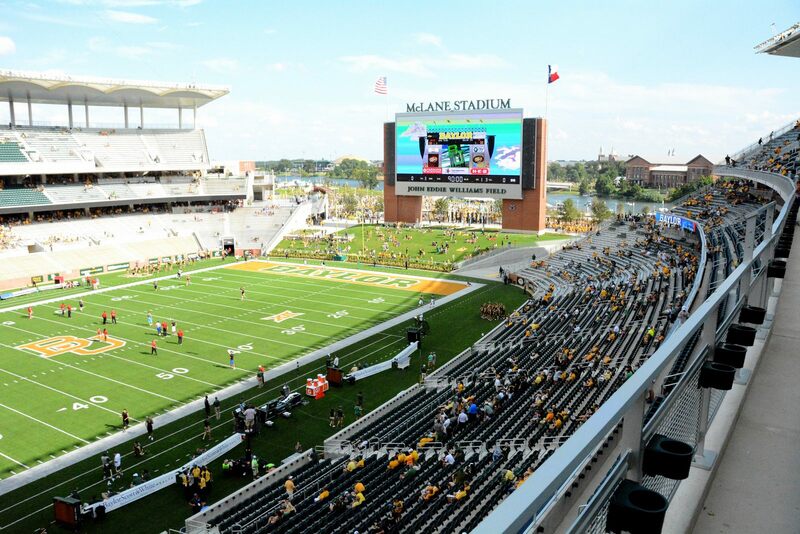 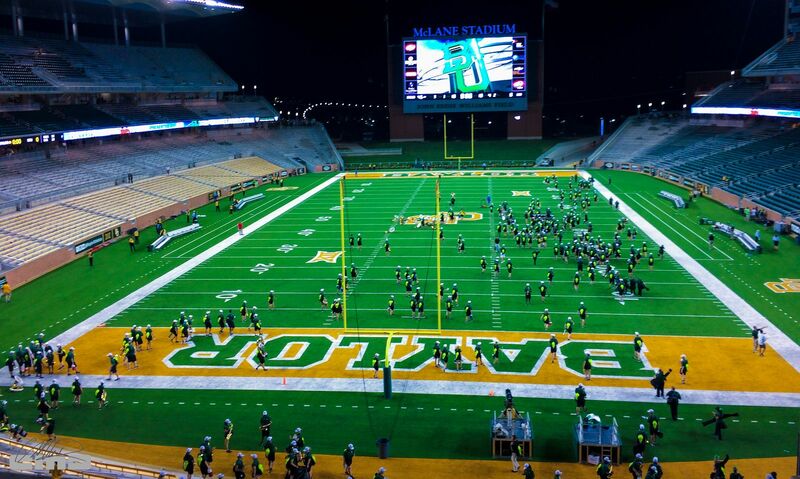 During most of the construction period the stadium was temporarily called Baylor Stadium, but eventually received the name McLane Stadium, after the McLane alumni family who provided a significant portion of the over $260 million for construction.